We spent some time with the Bierstedt cousins over the holidays. As usual, cuteness and chaos both ensued. It wouldn't be Christmas without tears. Ben and Cameron sang in the Christmas kid's choir at church. Ben is in the back on the left and Cameron is in the back middle. 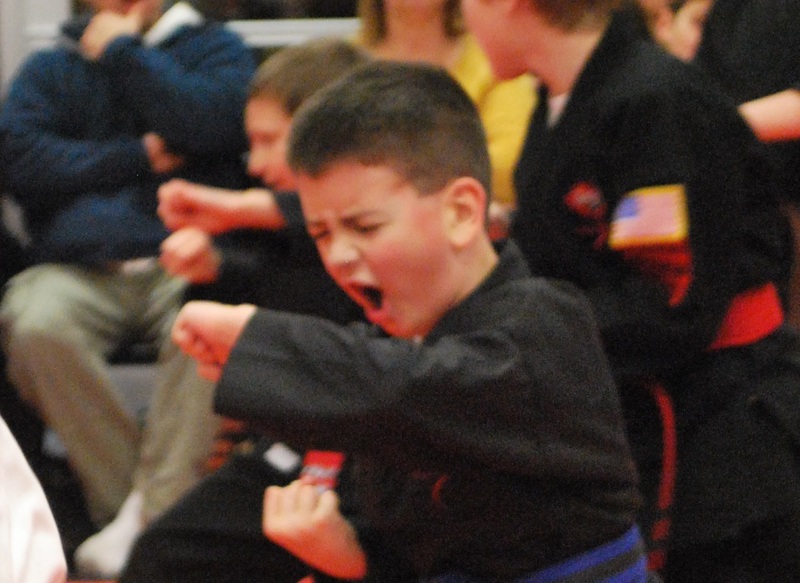 I graduated to my red belt in karate today. I was expecting to have to wait until January, but I was able to demonstrate all of my blue belt skills in time. The end of the year is always a time when our teachers send home art that has been decorating the school. Here is our collection -- mostly, it is Ainsley's work. What Ainsley is thankful for. Ainsley's hand turkey. She didn't like it because her teacher painted her hand. More things Ainsley is thankful for. From the beginning of the year - they had to introduce themselves. Ainsley likes books, cousins, Hammy the hamster, Dora, and dancing. My preschool had a holiday program and Mom and Dad came to see it. They videotaped it so that you could see it too. It is only 6 minutes long, so sit down and enjoy! Here I am that morning. Very excited! 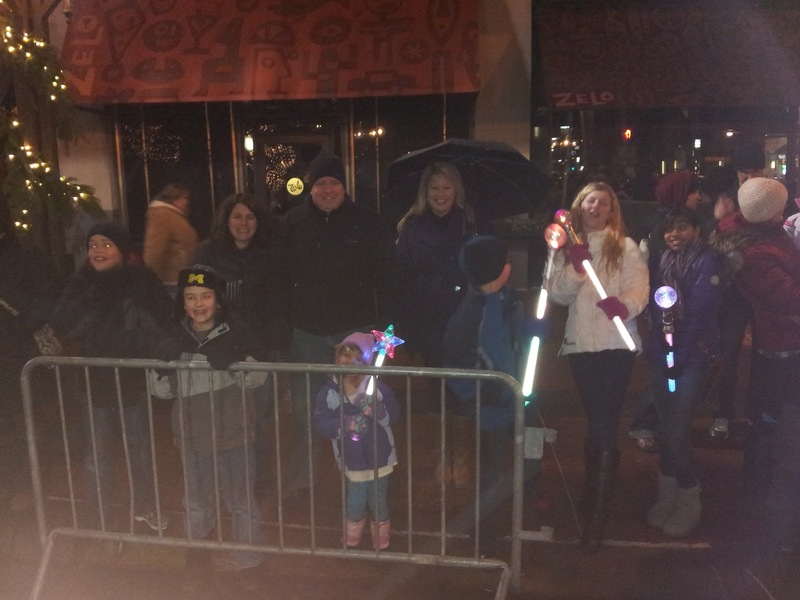 We went to the Holidazzle with some friends this year. 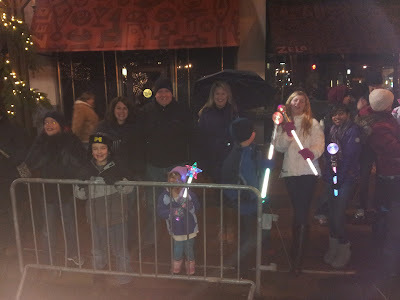 It was cold and rainy, but we still had fun! Here we are building the family gingerbread house together.